It is estimated that close to 20 percent of Americans are living with hearing loss. Because this condition is so common, it’s important to know what causes it to help you prevent any damage to your hearing. While some things cannot be avoided, such as age-related hearing loss, there are certain risk factors that can increase your odds of developing hearing loss. Before we can begin to look at the causes of hearing loss, it is first necessary to establish that hearing loss is a very broad term – and, somewhat surprisingly, there are a number of different types of hearing loss. The first distinction that must be made is between sensorineural hearing loss and conductive hearing loss. Sensorineural hearing loss occurs when the hair cells of the inner ear are damaged, or the hearing nerve has been damaged. In most cases, sensorineural hearing loss is permanent; when the hair cells are damaged, they cannot be repaired. Conductive hearing loss occurs when sound cannot travel from the outer ear to the inner ear – earwax and tumors, for example, tend to cause conductive hearing loss. If the cause of the conductive hearing loss can be eliminated – for example, by removing excess earwax buildup – conductive hearing loss can be cured. 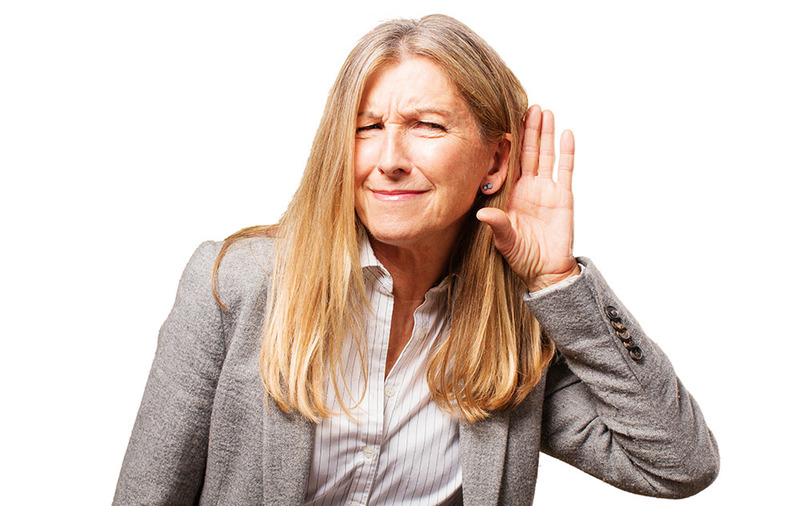 As one would expect, sensorineural hearing loss and conductive hearing loss have very different causes. Age-related hearing loss is a form of sensorineural hearing loss. The hair cells on the inner ear are damaged due to the natural process of aging, resulting in diminished hearing capacity. Almost all cases of age-related hearing loss are permanent. In most cases, age-related hearing loss is treated by hearing aids prescribed by a hearing health professional. Noise-induced hearing loss is also a form of sensorineural hearing loss resulting from exposure to loud noise. Many individuals who work in noisy environments are at significant risk of experiencing noise-induced hearing loss. Genetic hearing loss is a less common form of sensorineural hearing loss, usually caused by gene mutations that are then passed from generation to generation. Ototoxic hearing loss is sensorineural in nature. This type of hearing loss occurs when an individual takes a medication that is classified as ototoxic, which can be harmful to hearing health. In some cases, the effects are permanent; in others, hearing capabilities are restored when the individual ceases to take the ototoxic medication. Earwax buildup and ear infections can cause conductive hearing loss. When the infection is successfully treated, or the earwax is removed, normal hearing function tends to return. Perforated eardrums tend to occur after injury or, less commonly, due to a severe ear infection, and can cause conductive hearing loss. A perforated eardrum will usually heal itself, though sometimes surgical intervention is required. Tumors can cause both conductive and sensorineural hearing loss. Usually, removing the tumor returns hearing function. The above is not an exhaustive list, but does cover the most common causes of both types of hearing loss. If you experience hearing loss, it is important to consult a professional to ascertain the exact cause and choose a treatment and management plan suitable for your needs.